With 11 locations in the Carolinas, Hills Machinery will be selling, renting and servicing two Terex Trucks articulated hauler models — the TA300 and TA400. Hills Machinery is the new official dealer of Terex Trucks in North and South Carolina. After expanding steadily over the past 11 years, the company now has seven locations across the region from which it supplies and services Terex Trucks articulated haulers. If North and South Carolina were a single state, it would be the fifth most populous state in America. The Carolinas have traditionally been known as agricultural states, but it's the construction market that's really booming right now. According to a recent survey by Associated General Contractors of America, North Carolina's construction market is especially strong at the moment — and with a surge of new construction projects expected over the coming years, it's an equally positive outlook in South Carolina, too. With this in mind, it's no wonder that Hills Machinery, a local construction equipment supplier, is doing so well. Brothers Jim and Adam Hills started their namesake business in 2007, when they originally operated out of their offices in Columbia, S.C. Over the past 11 years, they've gone on to employ 100 people and open up an additional six branches — four in North Carolina (Charlotte, Greensboro, Raleigh and Greenville) and two in South Carolina (Charleston and Greenville). "If you were to ask our customers what we're like as a company, I think they'd say reliable, honest and willing to solve whatever problems they have," said Jim Hills, co-founder and president of Hills Machinery. "Partnering with Terex Trucks was a no-brainer for us. They produce high quality, efficient machines that are a perfect fit for our customers." "We're committed to delivering the best products at the best prices, together with the best customer service," said Mike Kemmerer, director of service operations. "We can offer support to Terex Trucks customers at any of our seven facilities or out on the field, thanks to our fleet of service trucks." Hills Machinery will be selling, renting and servicing two Terex Trucks articulated hauler models — the TA300 and TA400. 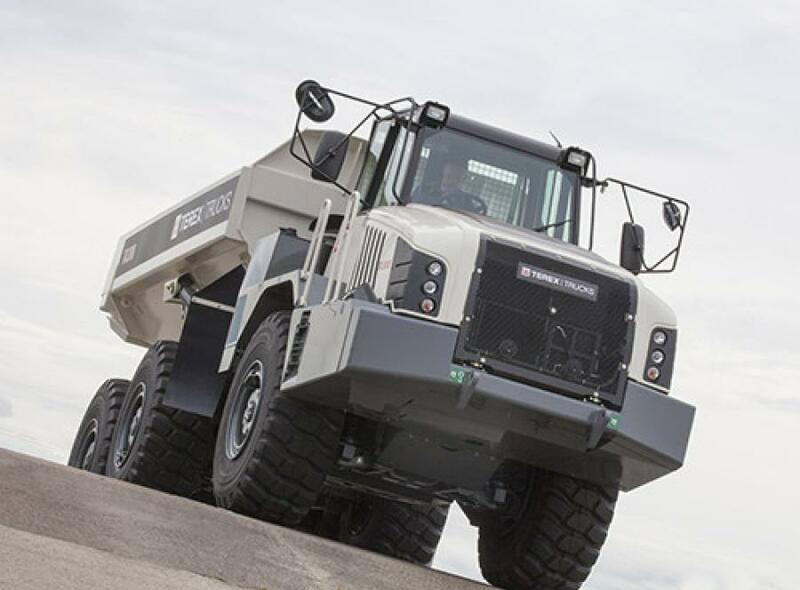 "We're excited to have partnered with Hills Machinery," said Link Kairys, regional sales manager of Terex Trucks. "They've got a great reputation in one of the most active markets on the East Coast. I'm confident that their customers will love the reliability, flexibility and performance of the TA300 and TA400." The TA300 can perform in challenging applications including quarries, infrastructure developments and commercial construction projects. Powered by a Scania DC9 engine, it has a maximum payload of 30.9 tons, a maximum torque of 1,309 lb.-ft., and a heaped capacity of 22.9 sq. yds. The TA300 can achieve a gross power of 370 hp and is equipped with true independent front suspension as standard, enabling excellent traction control and operator comfort. The TA400 is even more powerful, with a maximum payload of 41.9 tons and a maximum torque of 1548 lb.-ft. The TA400 also has a heaped capacity of 30.3 sq. yds. and can achieve gross power of 444 hp. This heavyweight hauler comes fitted with Allison HD4560 fully automatic transmission, meaning that it provides both exceptional rim-pull and high-speed capabilities. For more information, visit www.terextrucks.com.